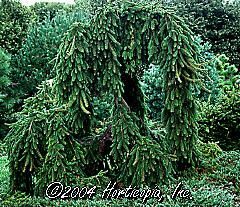 Interesting evergreen with a weeping habit. Pendulous, spreading branches hold rich green needles. Excellent choice for weeping over rocks or walls.